An impact driver is a manual tool that delivers strong rotational, downward force, and its most commonly used often used to loosen large bolts and nuts that are stuck or over-torqued. The direction of the force can be reversed to tighten screws when more torque is required than you could possibly achieve with a screwdriver. Impact drivers resemble drills both visually (though they are more compact) and with regards to possible uses. The main difference is that an impact drive uses pulsation instead of rotation to do the same job, and it’s much faster and can handle longer, larger fasteners, such as fat lag screws, which would stall the some of the best drills. Impact drivers have been gaining more and more popular among homeowners and contractors. If you’re in the market for a handy universal cordless tool like an impact driver, you’re in the right place. How to choose the best impact driver? Read on! If you are looking for the kind of complete kit that covers pretty much any and every job imaginable, you have reached the right place. 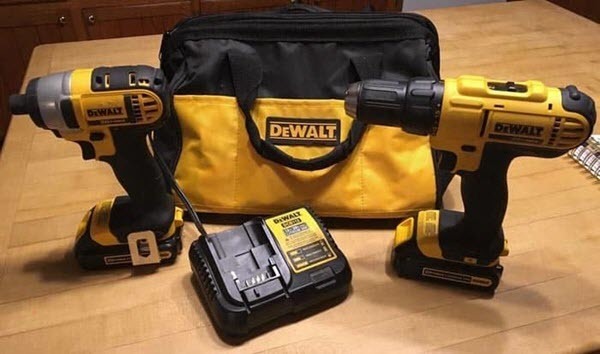 The DEWALT DCK240C2 20v Lithium Drill Driver/Impact Combo Kit has been designed to be the only kit you’ll ever need for both professional and domestic applications at every level. Incredibly powerful and durable, both tools within the kit are also surprisingly lightweight. Designed to deliver maximum power and torque while preserving battery life, both the DCD771 Drill/Driver and there DCF885 1/4 inch impact Driver are guaranteed to go the distance. Better yet, the kit comes complete with two battery packs for maximum convenience, along with a stylish kit bag for storage and transportation. As you’d expect from the world-renowned brand, the DEWALT DCK240C2 also comes complete with an extensive manufacturer’s warranty as standard. 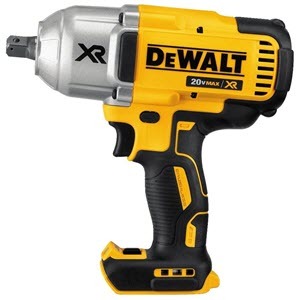 Great to look at, comfortable to work with and powerful enough to handle almost anything you can throw its way, the DEWALT DCK240C2 Impact driver takes pride of place at the top of our list for a very good reason! Sticking with the same brand, the DEWALT DCF885C1 20V Max 1/4" Impact Driver Kit has become a bestseller on a global basis since its launch. Designed by professionals and for professionals, this outstanding impact driver has the rugged durability to stand up to even the most difficult and demanding of conditions. With 0-3,200 IPM and a max torque of 1,400 IN-LBS, the DCF885 gets the job done quickly, easily and reliably, with its compact design providing convenient access to tighter and more awkward spaces. The ergonomic design of the handle makes for easy and comfortable use in all conditions, while the one-handed loading ¼” hex chuck that accepts 1” bit tips further adds to its versatility. As always, the DEWALT DCF885C1 features the kind of exclusive design and technology you won’t find in any other power tool at any price. It may not be the cheapest impact driver of its kind on the market, but what it delivers in terms of durability, performance and overall value for money are impressive, to say the least. Homeowners and professionals who have reviewed this product confirm it exceeds expectations. The ​DEWALT DCF899B impact driver​ features a brushless motor designed to run for a long time, which ensures performance and durability. It has a heavy-duty impact mechanism with a max torque at 700 ft./lbs., able to handle the most difficult tasks, and a breakaway torque of 1,00 ft./lbs. This tool has a 3-speed selector switch allowing application-specific torque/drive control. The LED work light has a 20 second delay which provides easy visibility even in dimly lit spaces. Although compact, ergonomic and lightweight, it can steadily handle a drop from as high as 8 feet, and the anvil is resistant to shearing and breaking. Features a detent pin ensuring strong socket retention, and helping avoid socket dropping which may occur on construction sites. It’s a high-performance industrial tool comes with a warranty package that includes a 3-year limited warranty, a 1-year free service contract and 90-day money back guarantee. The battery and charger are sold separately. This lightweight driver is mostly targeted at handy homeowners, and reviewers have had nothing but praise for it. 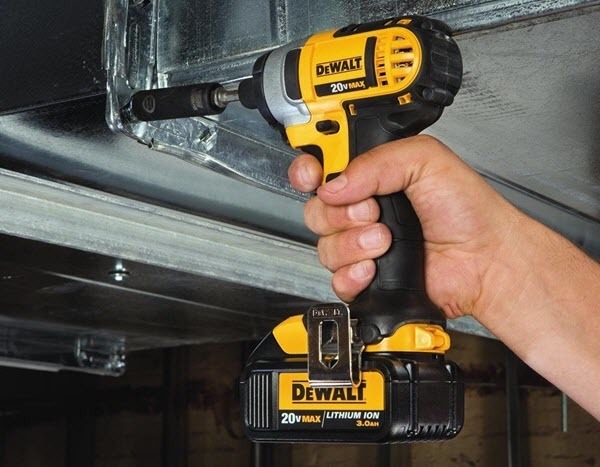 The ​Dewalt DCF815B Impact Driver​ features a compact, lightweight design, allowing work in hard to reach areas. It is 6-1/4 Inch long, so it can fit in much smaller spaces than its classical counterparts, while still providing 3,400 impacts per minute. It is equipped with 3 LED lights which ensure visibility. The one-handed loading 1/4-inch hex chuck takes 1-inch bit tips. Comes with is an included belt hook for increased portability. It’s a high-performance industrial tool comes with a warranty package that includes a 3-year limited warranty, a 1-year free service contract and 90-day money back guarantee. This is a bare tool item, the battery is sold separately. 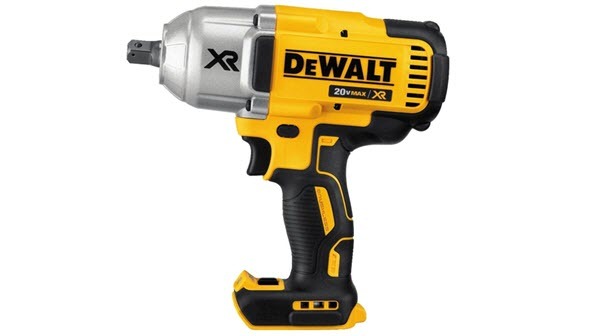 The​ DEWALT DCF887M2 Impact Driver Kit​ features the Dewalt trademark brushless motor and runs with XR Lithium-Ion batteries which deliver more run time and capacity than other similar tools. 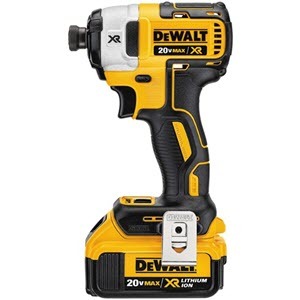 This impact driver has adjustable 3-speed settings, which increases versatility, while the Precision Drive in speed 1 ensures precision and adds control. It’s equipped with 3 LED lights which have a 20 second delay after trigger release so that you can easily see it whenever and wherever you need to. It can be loaded single-handedly thanks to the 1/4" hex chuck with easy grip sleeve, and takes 1" bit tips. This unit has a compact and lightweight design meant to allow it to fit into tight areas. 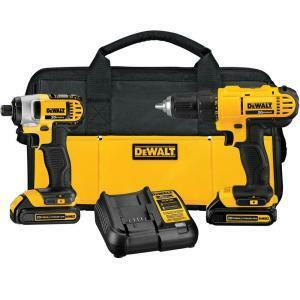 Kit includes: DCF887 - Brushless 1/4" 3-speed Impact driver, 2x 4.0 Ah 20V MAX XR Batteries, 1x Fast charger, 1x Belt Hook. 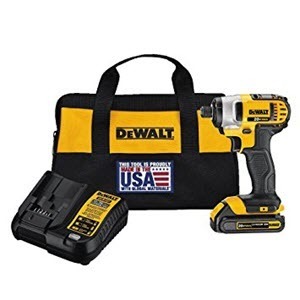 The DEWALT DCF899HP2 20v MAX XR Brushless High Torque 1/2" Impact Wrench Kit​, features a brushless motor, which is designed to provide superior runtime, performance and durability. It has a heavy-duty impact mechanism with a max torque at 700 ft./lbs. for best-in-class torque with the most demanding applications, with a max breakaway torque at 1,00 ft./lbs. This tool features a 3-speed selector switch that allows for application-specific torque/drive control. It also has a LED work light with a 20 second delay that will provide visibility when working in dimly lit spaces. Even though this tool is ergonomic and lightweight, it can handle a 6-8ft drop and is resistant to chemicals, grease & cleaners. A battery fuel gauge indicator will inform you about the level of charge available in the battery pack. The hog ring offers quicker/easier socket changes for users who swap sizes frequently and don't require maximum retention. 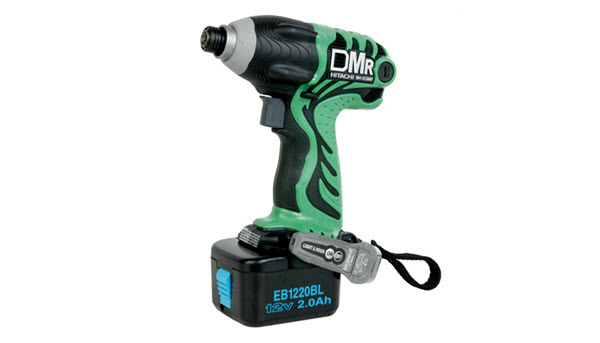 Includes: 1x DCF899HB Impact Wrench, 2x DCB205 5.0ah Batteries, 1x Multi-voltage Charger. 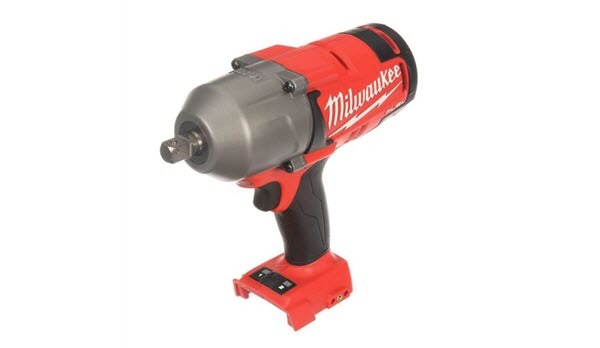 Milwaukee power tools have been around for over 85 years. Their continuous research and innovation brings us this lightweight impact driver, which has received great feedback from users. 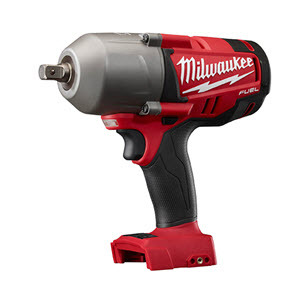 The ​Milwaukee 2762-20 M18 FUEL™ 1/2" High Torque Impact Wrench​ offers professionals a whole new level of performance, reliability, runtime and durability. Users facing repetitive high torque fastening applications have been known have no option but resort to corded or pneumatic impact wrenches because of challenging runtime and power. The M18 features a trademark POWERSTATE Brushless Motor, as well as REDLINK PLUS Intelligence technology, REDLITHIUM XC 4.0 Battery Pack and an optimized impact mechanism. All this results in a tool meant to outclass all cordless, corded and even pneumatic counterparts. Also, this Impact Wrench has a unique anvil / mechanism combination and proprietary 2-Mode DRIVE CONTROL which has been fine-tuned to have users work more productively, and complete an extensive array of applications. Hitachi Power Tools strive to provide professional power tools appropriate for a wide range of applications, such as woodwork, metalwork, concrete, drilling, cutting and fastening. Hitachi has brought us new technologies that have and continue to improve work for professionals and DIYers everywhere. Hitachi have been known to deliver innovation and engineering with new features every new series. 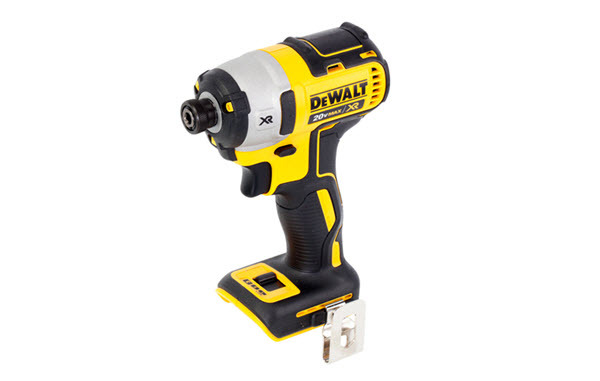 This impact driver has been highly reviewed by users, both for home and professional tasks. The ​Hitachi WH12DMR 12-Volt Ni-Cad Cordless Impact Driver​ has an ultra-compact body with a slip resistant soft grip handle. The 12-volt driver can generate a no-load speed of up to 2,600-RPM, while providing an impact rate of up to 3,200-BPM. Its maximum tightening torque is 1,150-inches per pound. Also, this impact driver features a 2-piece fan-cooled motor which ensures greater durability and increased overall performance. 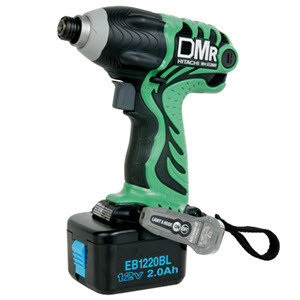 The easiness of using this tool comes from the easy-to-access carbon brushes, along with a 5-position belt hook with integrated LED work light, which can illuminate a dark workspace, and the easy electronic feedback power control, which makes for equal torque and RPM both in forward and reverse modes. To better understand the functionalities of an impact driver, let’s start by understanding how it works. We’ve mentioned at the beginning of this article that an impact driver is very much alike a power drill. How does it work, though, and what is it that makes it different? Manual impact drivers consist of a heavy outer sleeve around a splined inner core. The spline is curved, so that when the outer sleeve is struck with a hammer, its downward force works on the spline, thus producing a spinning force on the core and on any socket attached to it. The high rotational inertia of the sleeve is then transferred to the lighter core in order to generate high torque. At the same time, the striking blow from the hammer forces the impact driver down into the screw. The impact driver is the greatest fastener money can buy. This cordless tool serves to drive or loosen bolts and screws by using the strong rotational and downward force described above. It’s as if you used to hammers simultaneously from both ends of the screw to carry out the job. Thanks to this technology, they are very precise and easy on your hand and wrist. Just like a drill, an impact driver will have a connect socket for easy bit changes. However, unlike standard drills, it is a hex socket. So, If you want to use drill bits on your impact driver, you'll need to buy new bits which have a compatible hex shaft. However, it’s much faster than a drill. Any mechanic/ DYI-er/ contractor who knows the drill can tell you that half of the work is done by the speed, and an impact driver can drive screws much faster than a classic drill driver. If you were to work on certain materials, and you have to make test holes before actually screwing. Before there was an impact driver, you’d have to change the drill bit to a screwdriver for every new hole. Now, the impact driver makes that first mark by default, saving you from the hassle of a test hole. What does an impact driver do? An impact driver does anything from driving holes in different materials to tightening or loosening up wheel lug nuts. What are the special features of impact drivers that differentiate it from a drill? The main difference is in the way torque gets transferred from the motor to the chuck. On a traditional drill or driver, the motor and chuck are kept together by gears; the motor strains as workload increases. An impact driver runs by the same principle - under light loads. However, when workload increases, it relies on a clutch-like mechanism to disconnect the motor from the chuck only for a fraction of second. Meanwhile, the motor continues to spin, generating power. Then, the clutch reconnects, moving the energy into the chuck. This process is repeated around 50 times each second, resulting in up to four times as much torque you would get from a tool in its size class. But wait! Higher torque is not the only advantage of impact drivers! Despite what you might expect, you don’t have to hold (on to) them in order because of the high torque. The rotation force is generated by the momentum of the rotating striker, so even driving through a specially tough material the tool is easy to hold. On the other hand, standard drills generate constant torque and require the user to react in order to keep the actual tool from spinning on its own. Both bit rotation and concussive blows are used by an impact driver to be able to easily and quickly drive screws through the thickest of woods. But, how powerful are they? 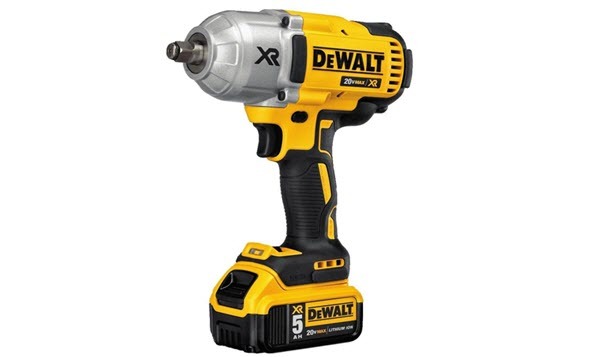 Tests revealed that an 18-volt impact driver can drive screws as long as 138 3-inch on a single charge. 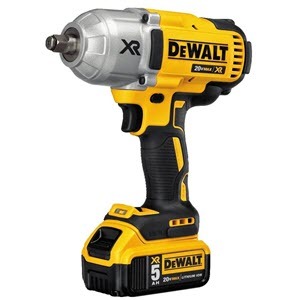 However, despite its rugged strength, an impact driver is easy and convenient to use because the convulsive action transfers a lot of the high-energy torque straight to the screw, instead of your wrist or forearm. While an impact driver may not have a slip clutch, the convulsive action is what ensures precision. If what you need is an all-in-one tool for generic DIY use, a drill is much easier to control and is useful in a wider range of situations. As for mechanics and car fanatics - We’re sure they’re very aware of the benefits an impact driver can have. Pneumatic impact drivers are widely used in auto shops and garages, and have been so for a long time, thanks to their ability to deliver enough power and torque (to the driven object), while saving the user from the impact on their wrists. This is why they are ideal for tire shops and home garages, where they are used to remove or reinstall lug nuts. Anyone who’s attempted this task knows how difficult using a lug wrench can be. Compared to that, doing it with an impact driver is a breeze. Find out the best impact driver as one of the essential DIY tools. This impact driver may not be a substitute for your drill. However, while you think of having a comprehensive tool kit, you can invest on impact driver. Compare the impact driver of various brands and choose the right one. Some of us look for a cordless drill driver for its versatility. However, there is a high similarity between this drill driver and impact driver. Buy a lightweight, easy-to-use and durable impact driver for your own purpose. Is an impact driver worth getting? Yes! Especially if you’re in a trade that requires a lot of screwdriving, but even just if you want to be able to get things done around the house. An impact driver will drive a 150mm screw roughly 3 times much easier and faster than a regular drill driver, and save you the damage to your hand and wrist. The reason why you can drive 150mm long screws with impact drivers is that they generate a high amount of torque. It’s what basically makes the difference between a standard drill and an impact driver. It also means you can drive a big screw or drill a big hole with a very small tool on the first try. So, depending on the density and resistance of the material you will be using - so, ultimately, of the scope of your project -, you will choose a higher or lower driver torque. Entry number 3 on our list, the ​DEWALT DCF899B impact driver​ goes up to 700 ft./lbs, while number 8, the ​Hitachi WH12DMR​, can go as high as 1,150 ft/lbs. With an impact driver you can also drill big holes. They are excellent drills. Using small enough bits (up to 1/4 in. or so), you can use them as a drill—but twice as fast. When you use bigger bits, they get into the high-torque mode, allowing you to make big holes with a small driver. We’ll talk more about it in the next part of our article. When you use a standard drill driver, you have to use your own weight to push the screw. Otherwise you risk the screw to “cam out” and ruin the screw head. The hammer mechanism on an impact driver produces torque and also creates pressure, which means that you won't have to push so hard to avoid the cam-out. It also means that you will easily reach difficult spaces better. It’s very important that you feel comfortable using the driver, so make sure you can handle the weight. You must hold it in order to work. 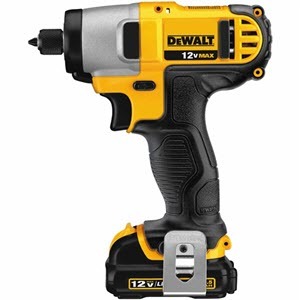 For lighter versions, check out number 4 on our list above, the ​DEWALT DCF815B​ with only 1.8 pounds or number 7, the ​Milwaukee 2762-20​, weighing 6 pounds. Instead or alongside the drill? You may be reluctant to getting an impact driver if you already have a drill. And if you do get one, should you put the old drill on Craigslist? Not yet. An impact driver can handle any job, so it may be tempting to just exchange the drill. Another fact about the impact driver, though, is that it’s pretty damn loud - it’s a price you pay for the very useful extra torque. So maybe just go for an impact driver with more specific functions which adds value to your toolkit. For instance, number 5 on our best impact drivers list - DEWALT DCF887M2 is a full kit, with batteries, charger and everything. As usual, safety first! As we mentioned before, these things can be super loud. Protect your hearing with muffs or earplugs. While it can’t ever be fully silent, if you live in an apartment building, you better go for a quieter driver, like number 8 - the ​Hitachi WH12DMR​. Also, don’t rely on your old drill bits. For the impact driver, use hex shafts. The chuck on an impact driver is what allows fast bit changing; but you'll have to invest in some hex-shaft drill bits. Regular bits won't work. Especially when we think about storage space, but also when considering the particularities of the project - will you need to reach tight spaces with the impact driver? How much force do you need? Usually, the greater the torque, the more voltage it requires. The greater the voltage, the bigger the tool. However, some of the 18-volt impact drivers are, unexpectedly, not much bigger than their 12-volt counterparts. If it does make a difference to you, however, look into smaller drivers, such as the ​Hitachi WH12DMR 12-Volt​, which is our pick number 8, or maybe you’re into the ​20-Volt DEWALT DCF899B​. While it’s not the biggest investment you can make, it’s still your hard-earned money you’ll be giving to the producer and you should get for it what you need. Are they renowned? If you’ve heard of them, they’re probably good. 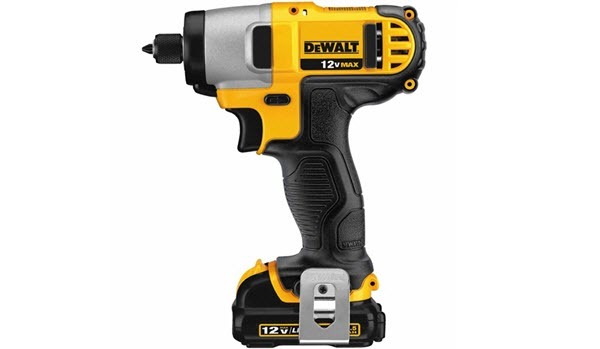 Dewalt comes to mind, as they are one of the most appreciated and trusted power tool brands according to reviews. Are they the actual manufacturer or just reselling? When a company is only reselling products, they are not as liable for any faults. Do they make a full range of drilling equipment products? See question no 1. How available are add-ons? Availability of accessories and spares is an important thing to consider, since it helps make the product more reliable in the long run. Do they have good customer service? Calling customer service can be a hassle - make sure you buy from someone who respects their customers. What materials are used to manufacture the impact driver? Look for quality materials. They will make for a durable tool. Thanks to the power provided by the impact motion, and to the smaller motor which allows a light battery, it can generate more torque and last longer between charges than a larger cordless drill. Think your needs over and figure out what you need yours to do. Make sure whatever impact driver you choose will be able to perform those tasks. Before you push that “on” button, make sure you have your noise cancelling headphones, and that nobody stands in your way, or they could get hurt. Just turn the driver as far as you can in the direction you need it to rotate the bolt, hold the wrench firmly and whack it with the hammer. When the hammer smacks it inwards, it will turn the motion into torque. Winding the wrench to either direction will stop the balls on the appropriate spiral. Thanks to the extra torque of the impact driver, the user is able to follow through with some difficult tasks. Say you want to build a deck out of pressed lumber, which requires you to drive one three-inch wood screw after another. The batteries on a standard 18-volt cordless drill would die out soon enough. On the other hand, the same task would be done faster, and require less effort (both from the tool and the user) with a more compact, lighter impact driver. Note: When using an impact driver for driving screws on fine woodworking, handle carefully to avoid over-driving the screw heads all the way through the material. An impact driver is able to easily drive a screw head more than you’d like. Drilling clean holes can be done using a spade bit with an impact driver. It is in fact much easier than with a drill. Drilling large diameter holes with a spade bit either on an impact or drill drive can cause the bit to pinch and get hung up in the hole. If the bit does get stuck in there, in the case of a cordless drill, the rotation that the motor was applying to the drill will be transferred to its body, thus twisting the drill in your hand. The risk is that the drill may slip out of your hand, or, even worse, the power might just transfer directly to your hand. The jeopardy is considerably reduced when using an impact driver. Thanks to the start and stop motion, torque is delivered in small bursts, thus helping to keep the spade bit from sticking. And in case it sticks, the amount of torque kicked back to the user won’t be strong enough to cause an injury. Electricians and plumbers are the impact driver’s number one fans, because they need to drill large holes through studs for wiring and pipes, respectively. If your wrist was ever sprained wrist from using a power drill, you will appreciate the use of an impact driver all the more. Most impact drivers do not come with a classical keyed or keyless chuck you might be familiar with if you’ve used drills. A quick-change 1/4-inch hex chuck replaces the three-jaw slip chuck. This keeps the driver short, and brings the benefit of being able to use an impact driver in tighter areas than you would traditional drills. Bit changes can be completed much faster than with a traditional chuck - just push the outer ring and slide out the current bit, then just gently push the new bit into the chuck until you hear it click into place. The disadvantage to this slip-style chuck is that you can only use 1/4-inch hex-shank bits with it. However, most spade bits and driver bits already come in this standard 1/4-inch hex size. Thanks for reading! We hope this information will be helpful to you and wish you the best of luck in all your projects!